The young nation of Fatrasta is a turbulent place - a frontier destination for criminals, fortune hunters, brave settlers, and sorcerers seeking relics of the past. Only the iron will of the lady chancellor and her secret police holds the capital city of Landfall together against the unrest of an oppressed population and the machinations of powerful empires. The country is in turmoil. With the capital city occupied, half a million refugees are on the march, looking for safety on the frontier, accompanied by Lady Flint's soldiers. But escaping war is never easy, and soon the battle may find them, whether they are prepared or not. Can't wait for the third book. 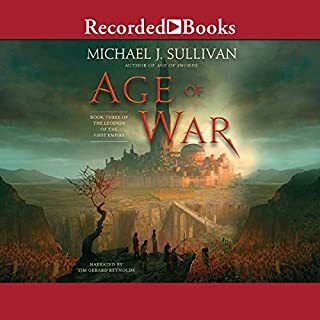 In this heart-stopping installment of the Demon Cycle, humanity continues to struggle against the demon plague - even as survivors hold out hope that the Deliverer will save them all. On the night of the new moon, the demons rise in force, seeking the deaths of two men, both of whom have the potential to become the fabled Deliverer, the man prophesied to reunite the scattered remnants of humanity in a final push to destroy the demon corelings once and for all. The world remains under siege by demonkind stalking the land when the sun goes down. But a new hero has risen from the desert. Claiming to be the mythical Deliverer, Ahmann Jardir now rides alongside the allied desert tribes of Krasia. 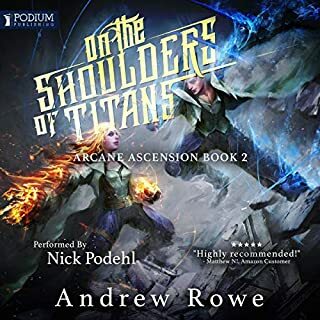 Jardir and his fellows are on an epic quest to vanquish the demons plaguing the world and bring humanity back from the brink of extinction. Live fast, die young. Tam Hashford is tired of working at her local pub, slinging drinks for world-famous mercenaries and listening to the bards sing of adventure and glory in the world beyond her sleepy hometown. When the biggest mercenary band of all rolls into town, led by the infamous Bloody Rose, Tam jumps at the chance to sign on as their bard. It's adventure she wants - and adventure she gets as the crew embark on a quest that will end in one of two ways: glory or death. For time out of mind, bloodthirsty demons have stalked the night, culling the human race to scattered remnants dependent on half-forgotten magics to protect them. Then two heroes arose - men as close as brothers, yet divided by bitter betrayal. 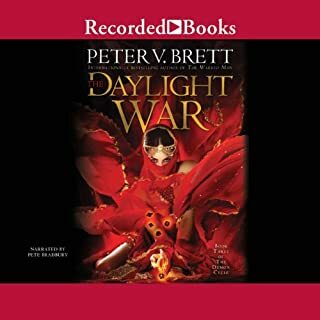 Arlen Bales became known as the Warded Man, tattooed head to toe with powerful magic symbols that enable him to fight demons in hand-to-hand combat-and emerge victorious. Tamas' invasion of Kez ends in disaster when a Kez counteroffensive leaves him cut off behind enemy lines with only a fraction of his army, no supplies, and no hope of reinforcements. 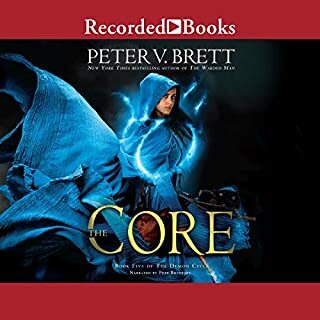 Drastically outnumbered and pursued by the enemy's best, he must lead his men on a reckless march through northern Kez to safety, and back over the mountains so that he can defend his country from an angry god, Kresimir. 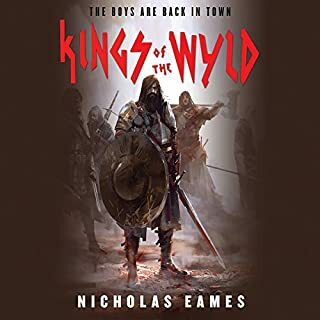 Tamas' generals bicker among themselves, the brigades lose ground every day beneath the Kez onslaught, and Kresimir wants the head of the man who shot him in the eye. With Tamas and his powder cabal presumed dead, Taniel Two-shot finds himself as the last line of defense against Kresimir's advancing army. This has been a fantastic series so far! Really enjoyed the performance of Christian Rodska, he is a master of accents and complements the gritty nature of this book. 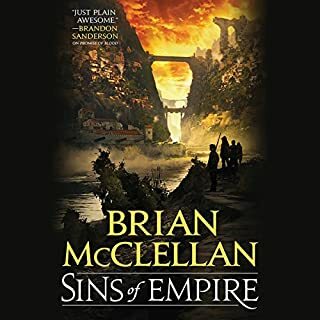 I like McClellan’s talent of writing a gripping and fully entrancing story but keeping it full of opposition and the realities of life. Really enjoyed the first two books, and can not wait for the third one. 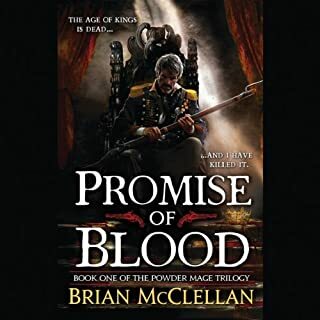 I found the pacing in the second book of The Powder Mage trilogy infinitely better than the first! I'm seriously growing to enjoy Christian Rodska's style of narration. 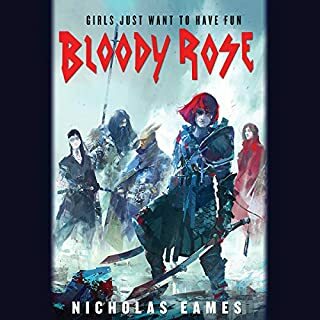 Still feels like he's a bit lacking in making female characters' voice sound feminine, but he is a Male, so what can you do :-P All in all, I thoroughly enjoyed listening to this! This book was so much better than the first book... 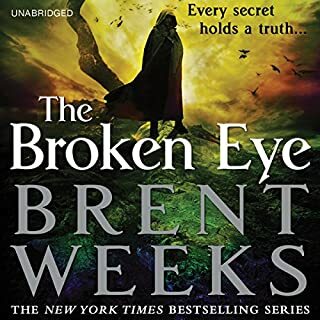 I didn't expect it to be like this.. when i red the first book, i have enjoyed it, but didn't really love it.. but this book made me a big fan of the series. Characters really develop in this book and secrets come to life.. I was really amazed of the the events and how things changed to the characters. The ending of this book was really good... I can't wait to get the third book and know how things end. Narration was really awesome... The narrator brought the characters to life and gave them for each a unique identity. 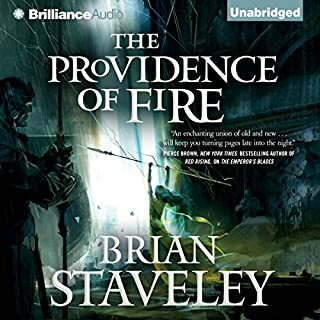 I highly recommend this book and this series . Book 2 ratchets up the tension. All of the main characters return and find themselves in the thick of things. Field Marshal Tamas is cut off behind enemy lines and presumed dead, Taniel Two-Shot struggles to find motivation and must fight on despite the news about his father, and Inspector Adamat tries to recover his kidnapped family while investigating some very dangerous people. The vacuum of power caused by the coup and then the presumed death of Tamas opens the door for a lot of political treachery and undermines the power of both Adamat and Taniel who fall out of favor without Tamas to back them. 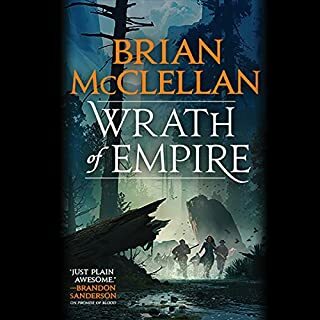 The characters get fleshed out a bit in this book, which was definitely needed, and the overall story arc remains strong. Christian Rodska returns as narrator and does another good job with the material. If you liked the first book then there is no reason to think that you won't like book 2. If you could sum up The Crimson Campaign in three words, what would they be? What was one of the most memorable moments of The Crimson Campaign? Taniel's moments of rage and how I wished he could just cut loose and bash all the generals. What about Christian Rodska’s performance did you like? I hate this question. No sane person would want to listen to ANY book for 20 hrs straight. Was it good? It was absolutely fantastic. Do I want to listen to the next? Hell yeah. 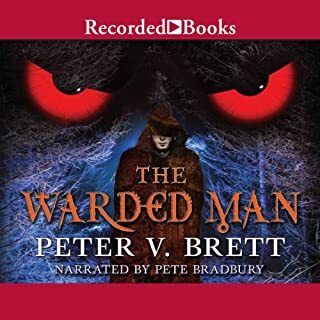 This series just catapulted to the "read/listen-to-the-day-it-is-released" list. A+, five stars, out of the ballpark. 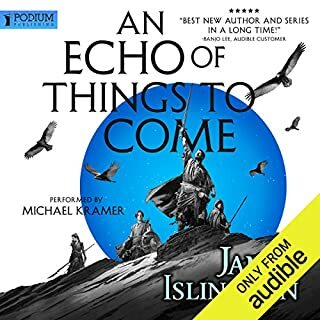 This is one of the best sequels I've listened to/read. Characterization is off the charts, action is whiplash, and creativity is phenomenal. 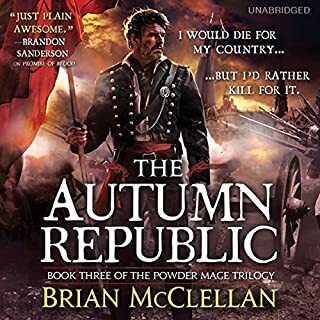 Thank you, Mr. McClellan for a wonderful three days. This is an amazing tale. my only warning is this...it may be hard to stop listening and you'll certainly lose sleep rather than miss even a minute. Great story, hard to put down. This series has been a fun one for sure. Great characters, interesting magic system, and very good action and pace. Amazed! Can't wait to finish th's trilogy, yet I will be sad when it ends. 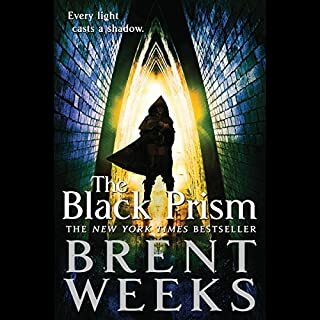 Story continues in the 2nd book, but drags a bit..
With this being the 2nd book in the trilogy, the story does drag a bit. There are some interesting character arcs and we get more in depth into some of their backgrounds- some questions are answered, and more arise. Overall though, the story is lacking a bit of tension and drama. It's not that there aren't significant challenges for the characters to overcome, but they all feel significant only relative to the characters themselves as opposed to world changing, epic struggles (though I suppose there are still hints and overtones of that). Some of what happens in this book feels extraneous though, and I think a lot of it could have been condensed or omitted without loosing much of the essence (but that's obviously a highly subjective opinion). The good news is that, at this point, you're up to speed with who the characters are, what is happening in this world, and (on a surface level) why. Very few new characters are introduced in this book, which is actually a plus in my mind. I do think the characters themselves are a bit more "fleshed" out in this book as opposed to the 1st- they feel more real and "flawed" (in a good way). 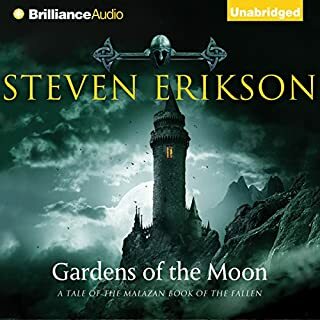 Again, Christian Rodska does a fair job with most of the characters- a few are a bit too close to distinguish easily, but there is a pretty wide range of inflections and dialects that he can use to help embellish their readings, but it's not as effective as some of the other readers I've heard. Also, as mentioned in my 1st review, his younger characters and the opposite gender doesn't come off as believably. But there are a few characters that he just nails- when it's good, it's really good. Better than the first book. Really enjoyed this one. Some of the characters really came into their own and the relationships and storyline became more compelling. Moving between three points of view/of the story. The young ones start to grow up, and the old ones learn a bit of humility. Really wish the third story was out. Good characterization, good narration. Need More Time with these Characters! 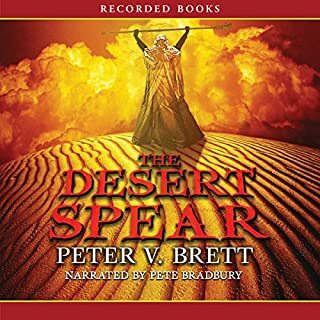 This book starts off with an action sequence and throws us right in to the midst of the characters' struggles-Adamat seeking to rescue his wife and children, Taniel's attempts to forget what he's done, and Tamas' efforts to bring his piece of the army to Adro. We see other familiar characters as well. (No spoilers) I have only two complaints about this book. It is the second book in the trilogy so, while some problems are overcome, many situations remain unresolved. Given the author's attention to detail and character development, I am certain everything will be wrapped up nicely in the third book. My second complaint is that this book is too short and too good. I want more in this series and I want it now. This book contains sleuthing; military campaigning; characters sinking to greater depths or rising to heights of heroism, understanding, and bravery; a bit of romance, intrigue, treachery, and humor. 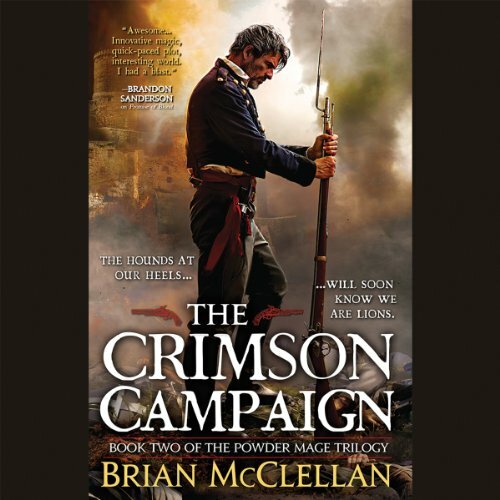 Fans of Promise of Blood are sure to love The Crimson Campaign. 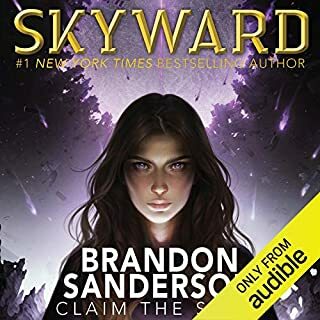 I also recommend the Audible short stories set in the same universe-The Girl of Hrush Avenue, Forsworn, and Hope's End.